On 23 February 2018, sixty Grade 10 learners from Lofentse Girls High in Soweto participated in a DigiGirlz event at the Orlando Pirates ICT Resource Centre. A panel of four young black female Microsoft staff members spoke to the girls about how they got started in their STEM careers, which subjects they took at university and what they are now responsible for at Microsoft. This was inspirational as the DigiGirlz could see some of the possibilities for women who pursue careers in technology. The panel also helped to debunk some of the myths around what type of people code. 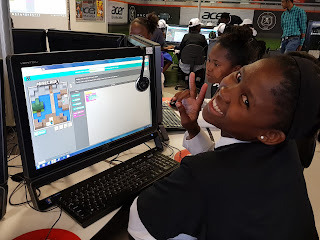 After being inspired by the speakers, the DigiGirlz had an opportunity to try out an Hour of Code for themselves, using the Minecraft themed tutorials available at code.org/minecraft. Although none of the girls had tried coding before, and Information technology and Computer Applications Technology are not offered at their schools - a number of girls completed all twelve levels of the tutorial in an hour. 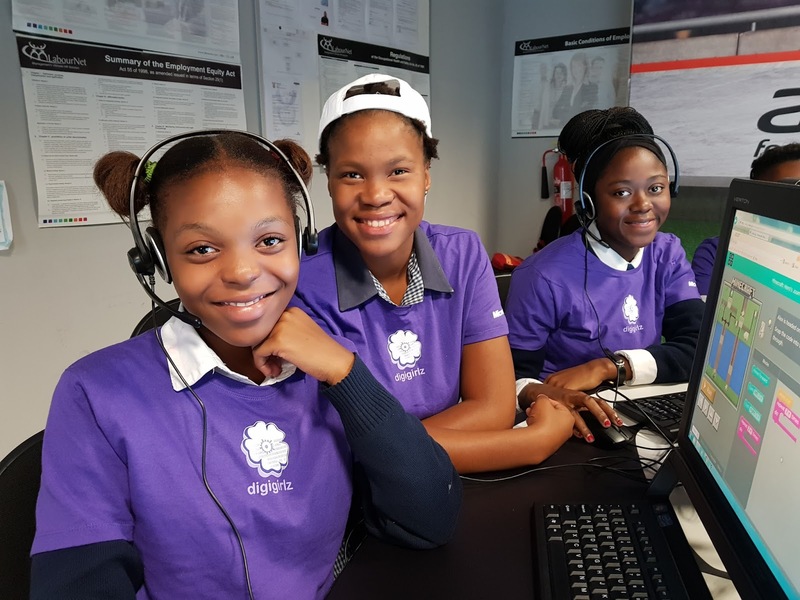 Whilst only 43% of the participants reported having an interest in a career in technology before attending the DigiGirlz event; 98% of the DigiGirlz said they were now interested in a career in technology after attending the event. "The best part is to learn that coding is not about computers,it is actually about collaborating and discussing your ideas with others." "The best part was learning more about Microsoft. People from Microsoft gave us career advice on doing what we love." "Learning more about technology and its fields. i enjoyed playing the hour of code , it was challenging, interesting and most importantly it was a mind opening game." You can read more about this event on the Orlando Pirates blog. On Saturday 17 February 2018 the Department of Basic Education honored teachers who are doing exemplary work at the 18th National Teaching Awards. 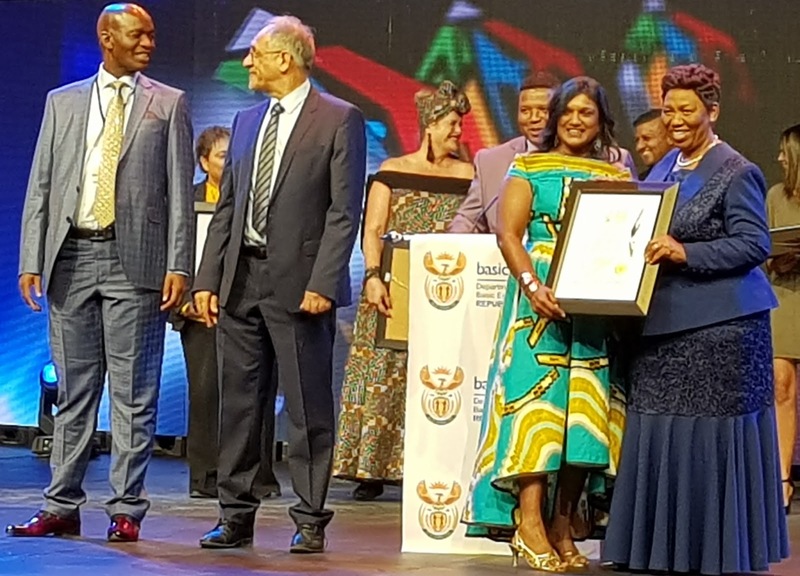 At a prestigious event held at the Sandton Convention Centre, teachers were commended for extraordinary efforts across a range of categories including Excellence in Teaching Mathematics, Science, Grade R and Special Needs. 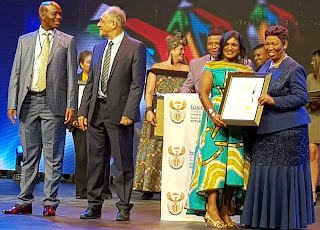 Educators who have dedicated their professional lives to providing exceptional education were honoured with The Nelson Mandela Lifetime Achievement Award and the Professor Kader Asmal Award. SchoolNet SA is particularly proud to be associated with the Excellence in Technology Enhanced Education category, as this category recognizes teachers who are using digital tools to engage and inspire learners. SchoolNet SA's Programmes Manager, Megan Rademeyer, served as a specialist adjudicator for this category and had the opportunity of hearing first hand from each of the provincial winners of this category how they are enhancing teaching and learning through the integration of technology. The winner of this category was Mariette Vorster formerly of Touwsranten Primary in the Western Cape. Mariette says "using ICT as a tool to transform pedagogy is the future of education. Passive learning is something of the past." 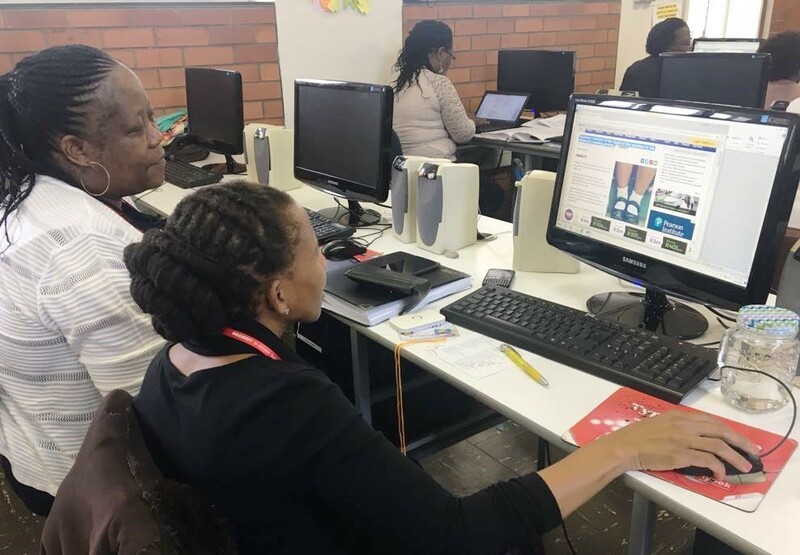 According to an article in All Africa, "Ms Vorster played a leading role in preparing Touwsranten Primary School for eLearning when the Western Cape Education Department selected the school as a Model School for the province's eLearning Game Changer programme." Mariette has now joined the Eden Karoo Education District office as an eLearning Advisor. Nabeel Ismail of Zinnaville Secondary School in NorthWest placed second and Gerhardus Malan of Aurora Primary School in Free State who came third. 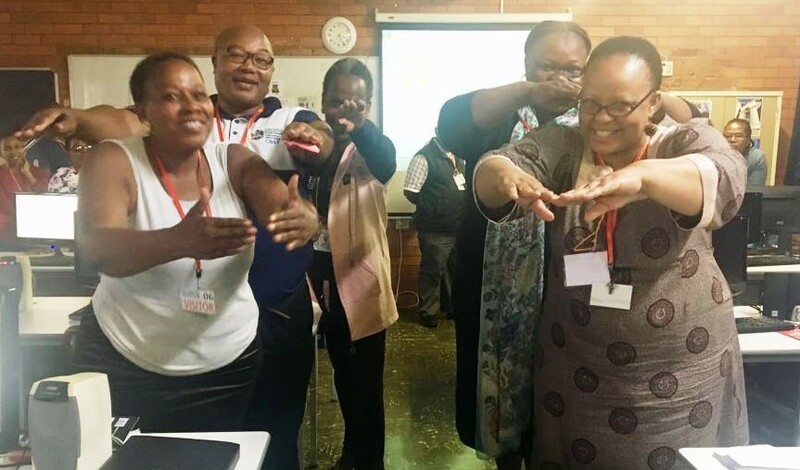 Between them, these three teachers received a total sponsorship of R100 000 worth of SchoolNet SA training, mentorship and conference participation. SchoolNet SA's Operations Manager Omashani Naidoo received a certificate of appreciation from Minister of Basic Education Angie Motsheka. Digital learning is any instructional practice that effectively uses technology to strengthen a student’s learning experience. With so many digital tools available, you may find that it is difficult to keep up with the apps, devices and software that are available. But, providing digital learning opportunities is not so much about the tools you are using - instead it is about what you are doing with them. We know that teachers throughout South Africa are doing amazing things in their classrooms using technology. 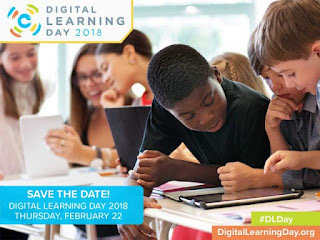 Digital Learning Day was started as a way to actively spread innovative practices and ensure that all youth have access to high-quality digital learning opportunities no matter where they live. SchoolNet SA provides a range of platforms for teachers to be part of our professional learning community. Please sign up to be a SchoolNet SA member if you have not done so already. Please also like us on Facebook and follow us on Twitter to stay up to date about our professional development opportunities, digital tools to try out and educational projects to support. If you are willing to share your expertise with our community of teachers please be in touch with us about hosting a webinar or to write a guest blog post on how you are using technology in your classroom. 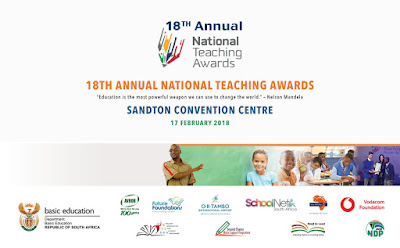 On Saturday 17 February 2018 The Department of Basic Education will honor some of South Africa's most dedicated teachers at the 18th National Teaching Awards. SchoolNet SA staff staff members and invited guests are looking forward to attending this prestigious event to celebrate the achievements of these exceptional educators. SchoolNet SA is especially proud to be associated with the Excellence in Technology Enhanced Teaching and Learning category. SchoolNet SA Programmes Manager Megan Rademeyer has been the specialist adjudicator for this category since its inception and had the privilege of listening to each provincial winner of this category present his or her work. Megan says, "the standard of entries was especially high this year, with provincial winners in this category having been involved in a range of activities and projects to engage and inspire learners whilst using technology. 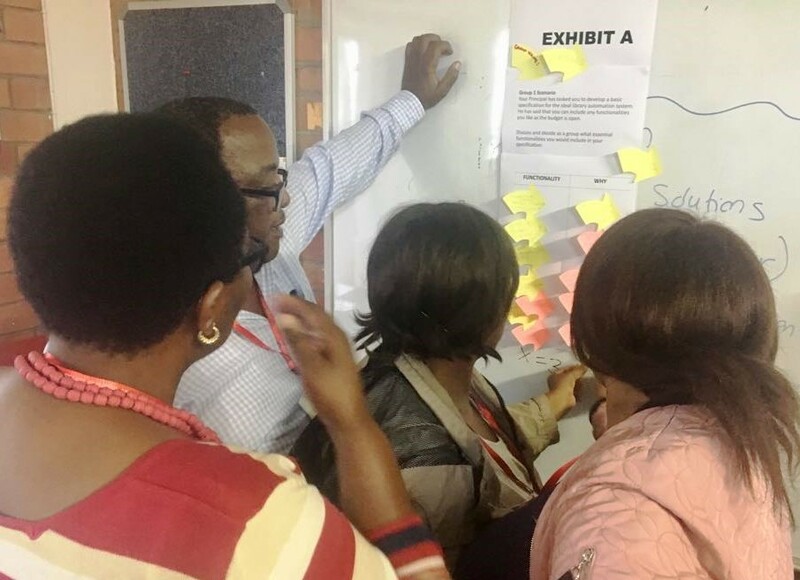 It was heartwarming to see how teachers from across South Africa were using digital tools to broaden their own horizons and those of their learners." This year, SchoolNet SA will once again be awarding R100 000 worth of SchoolNet SA training, mentorship and conference participation to the teachers placing first, second and third in this category. In previous years, each of the winners has selected any one of the many SACE- endorsed SchoolNet SA courses facilitated for teachers at their respective schools. Furthermore each of the three teachers has taken up the opportunity to attend or even present at a conference in South Africa relating to effective digital learning in the classroom. 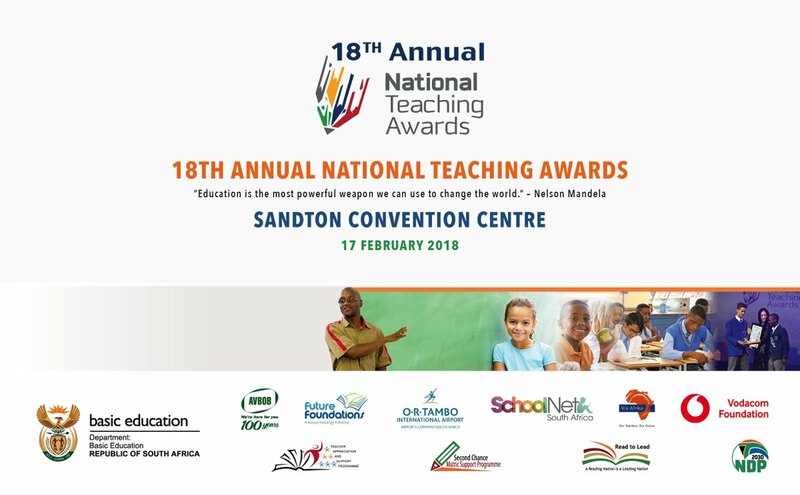 Through the National Teaching Awards, the Department of Basic Education acknowledges the extraordinary efforts of teachers, often achieved under very difficult conditions and in service to children from underprivileged families and economically depressed communities. At SchoolNet SA we echo these sentiments and look forward to celebrating the achievements of some of South Africa's best teachers. The Pinetown Rotary Club has invested in providing schools in the KwaNdgenezi area of KwaZulu-Natal with harddrives containing educational resources, but they also wanted to offer teachers from their focus schools professional development and support to ensure that the resources are used to their full potential. 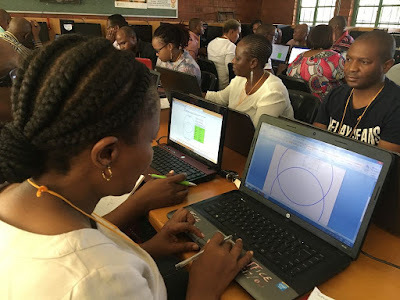 SchoolNet SA was engaged to provide a comprehensive professional development programme for teachers to build their skills, knowledge and confidence in using digital resources in their lessons. In turn they will provide learners with access to the resources, thereby transforming teaching and learning and contributing to improved learner performance. further training focusing on curriculum integration in the classroom. The first training intervention, aimed at the adoption level, was facilitated over three days at the KwaNdengezi Education Centre between 7 and 9 February 2018. SchoolNet trainer, Hlengiwe Mfeka set an assessment task which indicated that the majority of the teachers had limited digital skills and the introductions revealed that teachers assumed they were attending a course for computer skills only. Hlengiwe explained the purpose of the course and the teachers realized that the course would exceed their expectations. The Using Digital Resources course design promotes the four Cs of 21st Century learning; Collaboration, Communication, Critical thinking and Creativity. Teachers learnt some theory and were exposed to some educational models but this was done in order to get teachers to reflect on their own teaching practices and to aim towards more learner-centered approaches. A highlight was the session on downloading and using the digital app, 2Enable and accessing the wider range of digital materials on the harddrives which were provided by Rotary to their schools. Teachers were amazed to see there are so many resources available to them to bring their lessons to life. The Kahoot game provided a fun way to reinforce content and to model how the teachers themselves could set up quizzes for their students to learn whilst having fun. At the end of the workshop, teachers were asked to email a completed lesson plan to the facilitator, and most did this showing great commitment to the project. 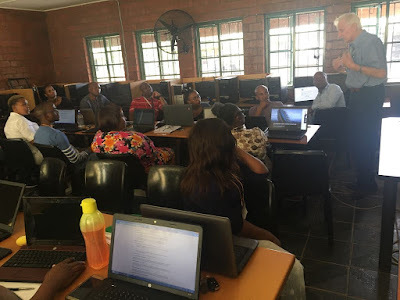 A briefing by by the MST & ICT directorate Dr Thami Nkabinde and an address by Rotary's Bill Draper indicated to teachers that they have support from a range of parties who want them to succeed in terms of using digital tools and resources to transform their educational practices. This first phase of this Rotary programme had a great impact on the participants’ thinking, attitudes and skills. Hlengiwe noticed a shift in thinking when participants provided feedback during discussions - and there was even a change of language! Teachers committed to share acquired knowledge and skills with colleagues at their schools and they left the workshop looking forward to the next level of their professional development. Tuesday, 6 February 2018 is Safer Internet Day. 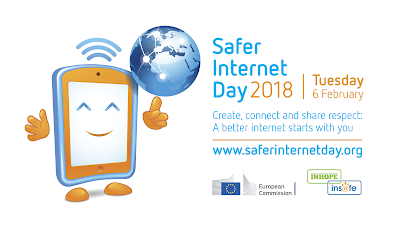 This year's theme is "Create, connect and share respect: A better internet starts with you". At SchoolNet SA we encourage teachers to create communities of digital learners, but we also want to ensure that teachers and learners are safe online. We encourage teachers to play their part in creating a better internet for everyone, especially learners. At the 2017 SchoolNet SA ICT in the Classroom Conference, Omashani Naidoo presented a session on "Cyber Wellness and Digital Citizenship". In this presentation Omashani stressed that individuals are their own biggest threat on the web and challenged the audience to Google themselves and to see what came up. She advised that before posting anything you should ask yourself "Is this something I can show my parents or my Gogo or my Principal?". This #SaferInternetDay let's think about how we can join in online discussions and professional development opportunities whilst ensuring a better and safer digital experience. These teachers were selected based on their active participation in the Microsoft Innovative Educator Expert Program; their sharing of learning activities on the Microsoft Educator Community; and their commitment to continuous professional development in the field of digital learning. They will be joined by Phuti Ragophala - a Microsoft Fellow and the former principal of Pula Madibogo Primary in Limpopo. Phuti, who has retired from the traditional classroom, will be speaking at E2 about using online collaborative platforms to create a "Classroom in the Sky". Ronelle Klinck - a Microsoft Learning Consultant will accompany the group. Anthony Salcito, Vice President - Microsoft in Education, says, "Every day I’m inspired by educators who innovate in the classroom and provide the best learning opportunities for their students. Educators are sparking creativity and curiosity in their students, by embracing modern teaching and learning, innovative curriculum, and by providing immersive experiences with technology. To celebrate these amazing educators and provide them with the opportunity to collaborate with each other, Microsoft is hosting the annual Microsoft Education Exchange (E2) event, as it has done for more than a decade. Singapore was selected as the host country for E2 as it has a highly regarded education system, one of the highest literacy rates in the world and students regularly scoring top marks in maths and science. We wish our South African teachers well as they head to Singapore - and look forward to following what they are doing while they are there - and learning from their experiences upon their return to South Africa. SchoolNet SA has created a new professional development course called School Libraries in the Digital Age. It explores learning technologies and online tools to enable the setup of digital libraries in the most effective way possible. The authors of the course were aware that the National Guidelines for School Library and Education Services specify the use of Information and Communication Technologies, which are now referred to as “digital tools and resources”. 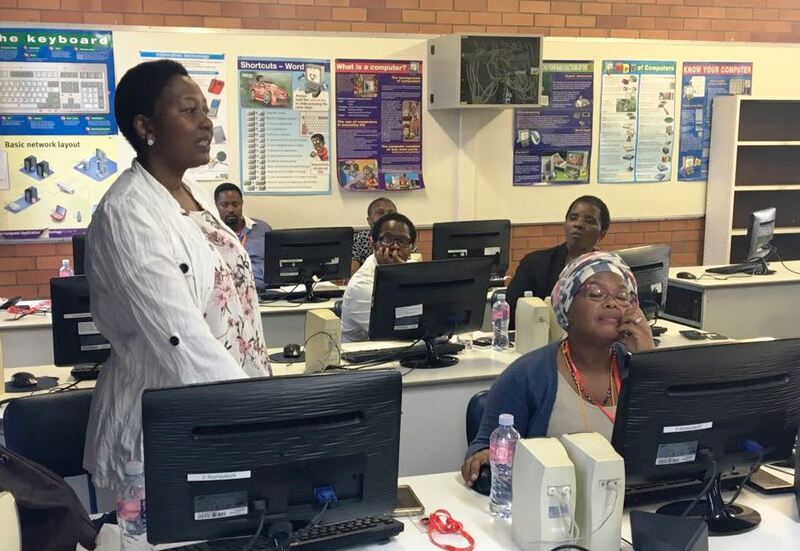 The first training session was conducted for the KwaZulu-Natal Department of Education’s Education Library, Information and Technology Services (ELITS) in December 2017. The KZN participants were very pleasantly surprised at how well the design and content resonated with their expectations; they were particularly receptive to the opportunity to discuss the course content. Hlengiwe Mfeka and Senzo Ngcobo were the SchoolNet facilitators. They used the KWL chart (what I Know, what I Want to know and what I have Learnt) to provide the chance to share previous knowledge and experiences around digital libraries. As participants worked in groups, the activity ignited a spirit of collaboration – they enjoyed sharing their personal experiences and this strategy was used throughout the course. Your Principal has asked you to draw up a budget proposal to digitise the school library. The school library has all the traditional basics. It now needs to be automated to better serve the needs of the school. He has said you can spend R50 000! See the sample budget to give you an idea of the costs related to computerisation. The group, especially ELITS management appreciated the activity around evaluating school library automation software which presented a useful opportunity for knowledge sharing when the groups gave their feedback. Most groups rated Edadmin, Libwin and Oliver as the preferred programmes with the most features; whereas Papyrus was poorly rated and it was noted that SLIMS involved hidden costs. A range of training strategies were used on the course including a Gallery Walk which exposed participants to different scenarios which required the higher order skill of making informed choices. This linked well with the previous activity as it tapped into the participants’ acquired knowledge of automated software. During the unpacking the four C's of 21st century learning (collaboration, communication, critical thinking & creativity) the focus was on the additional and very pertinent C for curation. Evaluating online resources is crucial for the effective management of the range of information available via the net - so it was interesting that many of the group were learning about 21st century skills for the first time. Advanced searching techniques were experienced with participants being exposed to sophisticated methods of evaluating digital resources, misinformation and fake news. Remaining topics that were covered in this session included online databases, academic databases and search engine websites, E-books and digital storytelling and particularly contributing to the African storybook website. In summary, and from the feedback from participants, the workshop was a great success. SchoolNet is looking forward to rolling out this course in other provinces in the next few months. The water shortages in Cape Town have made all South Africans, particularly those living in the Western Cape, very much aware of the importance of saving water. But access to adequate, safe water is a global problem - we can both learn from ideas that are working in other countries, and our learners can contribute ideas of their own. In February 2018, you can sign up to take part in the iEARN Water is Life project. As part of this global collaborative project, your students will be involved in active research and action-oriented collaboration concerning water as the vital essence of life. Students will be encouraged and supported in the development of their learning. Working collaboratively with students in schools around the globe they will be encouraged to turn their research into ideas they can take to the community: local, national and global. The iEarn Water in Life project is aimed at students in primary and secondary schools and will take place between February and June 2018. Please let us know if you have signed up - or if you are working on any other projects with a Water Conservation theme. We would like to share your ideas with other teachers.